This article was originally published in Mandarin on Lianhe Wanbao, 27 September 2016. 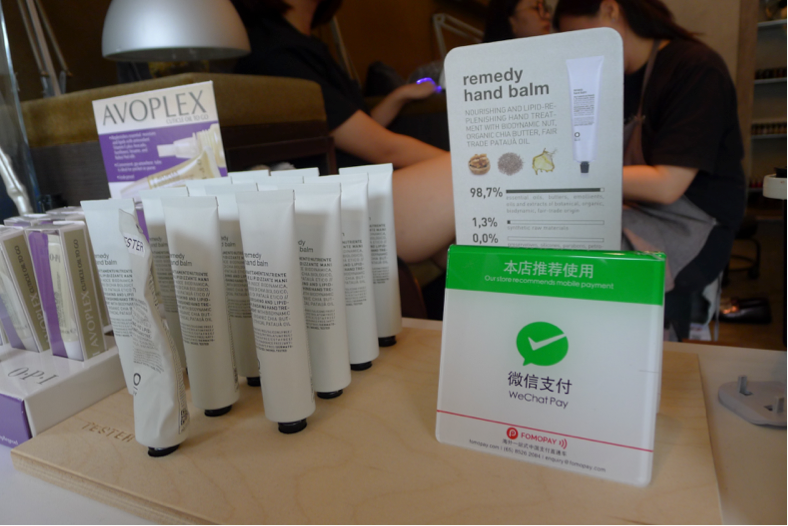 Nail parlour Black Claws accepts WeChat Pay and displays it to customers. The competition amongst local businesses to win over Chinese customers has become fiercer, as seen by the increasing number of businesses around Bugis and Chinatown with “Accept AliPay” or “Accept WeChat Pay” displayed at their entrances. It is vital that businesses hasten to join the ranks of businesses that accept mobile payment in order to seize this opportunity. Liu Xi, Louis, the founder of payment company FOMO Pay, highlights that the usage rate of mobile payment services such as AliPay and WeChat Pay in China far exceeds credit cards, Apple Pay and Samsung Pay. When Chinese tourists visit Singapore, they are used to settling bills via these mobile payment services, which also allow them to use Renminbi instead of local currency. In fact, there are a number of Chinese citizens working or living in Singapore who prefer such mobile payment methods as well. 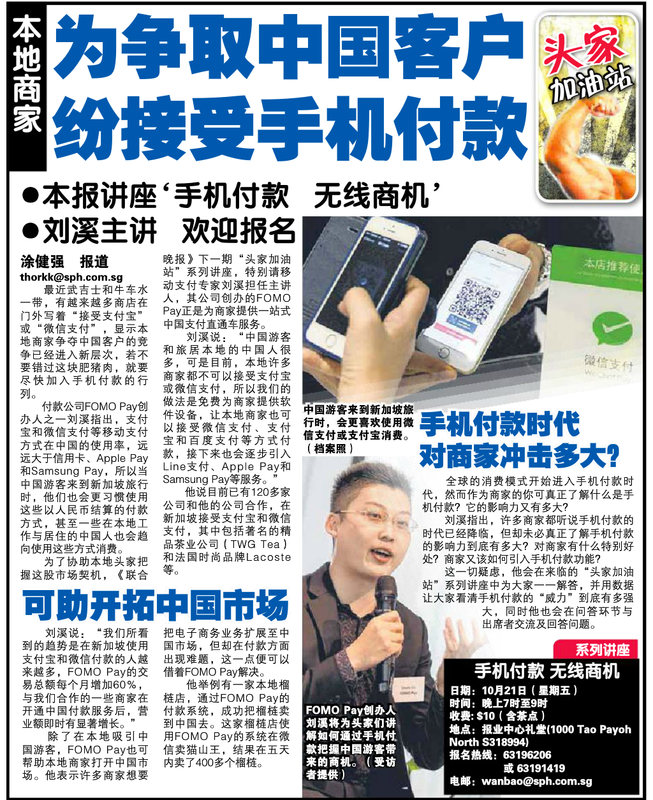 To help local merchants seize this market opportunity, Lianhe Wanbao will invite Alipay expert Liu Xi, Louis as a speaker for next week’s “头家加油站” series. His start-up, FOMO Pay, is a one-stop shop providing merchants access to China’s payment services. Currently, more than 120 companies have partnered with FOMO Pay, including renowned brands such as TWG Tea and Lacoste. Besides attracting Chinese tourists, FOMO Pay can also help local businesses enter the Chinese market. Liu Xi, Louis mentions that many business owners would like to expand their e-commerce businesses to China, but face problems when it comes down to payment. Here is where FOMO Pay can help provide a solution. An example mentioned was a local durian company that successfully sold durians to China through FOMO Pay. By using FOMO Pay’s WeChat system to sell Mao Shan Wang (Musang King), the company managed to sell more than 400 durians within 5 days. How will this era of mobile payment affect businesses? Consumers around the world have already started adopting mobile payment services. As a business owner, do you truly understand what is mobile payment? Do you know how drastic will it impact your business? 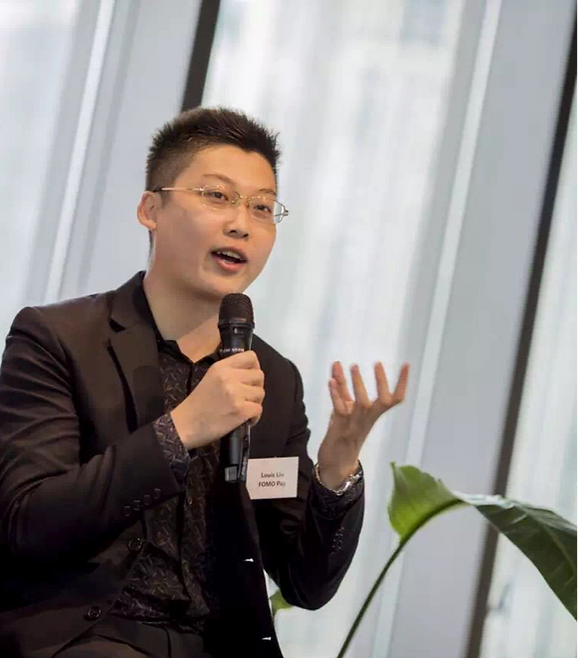 Liu Xi, Louis points out that many business owners have heard that the era of mobile payment have arrived, but may not truly understand how huge its impact will be, what are its benefits for businesses, and how should businesses introduce such payment functions. All your queries will be addressed in the upcoming “头家加油站” speaker series, using data to show how impactful mobile payment is for businesses. At the same time, questions raised by participants during the Q&A session will also be answered.